Did you know June is National Dairy Month? Celebrate by purchasing Yogurt and Pudding from our market! How about trying a yogurt based dressing with fresh herbs over a local green salad? Mix it all up and pass to dress your salad to taste! 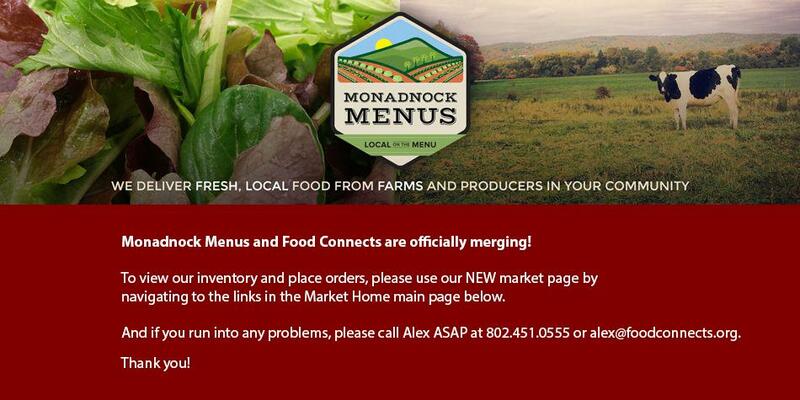 Go to Monadnockmenus.org to order now! Pete's Stand is open for the 2013 season. We welcome their inventory into our market! Pete's Stand is hard at work getting ready for the 2013 season, in the next few weeks we'll be offering baby spinach, radishes, swiss chard, and peas.